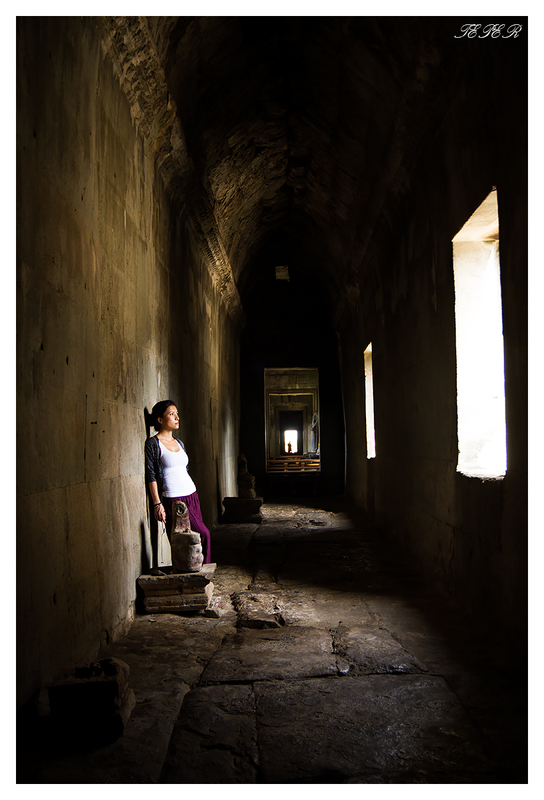 One of the amazing halls in Angkor Wat. The sunlight peeping through the large windows. Siem Reap Cambodia.